A person who suffers paralysis will likely require extensive medical treatment for the immediate injury as well as ongoing treatment. 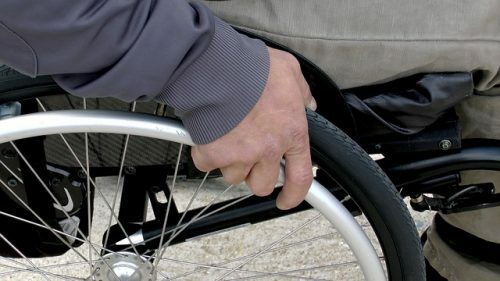 Paralysis victims may also require medical equipment, adaptive equipment such as a wheelchair, in-home assistance, medication and other expensive needs. Paraplegia: Paralysis of the legs and lower body. I am David D. Bravo, a New Orleans personal injury lawyer who represents those who have suffered paralyzing injuries caused by negligence. Practicing since 1996, I have the experience to handle complex personal injury cases involving paraplegia, quadriplegia and other life-changing medical conditions. The loss of a limb is a life-changing event with severe physical and emotional consequences. If you or a loved one has lost a limb as a result of another person’s negligence, you have the right to pursue compensation for your losses. Although no legal action can replace what you have lost, filing a personal injury claim can help you obtain the compensation you need for your medical expenses as well as the physical and emotional pain you have suffered. I represent people who have suffered the loss of a limb in car accidents, truck accidents, workplace accidents, swimming pool accidents and other personal injury accidents. The loss of limb can occur at the time of the accident or during the course of medical treatment. Whatever the circumstances of your accident, I am prepared to help. Have you or someone close to you suffered paralysis or loss of limb due to the negligence of another person or business? I can help. Contact my law office today online or by telephone at 504-934-1500 to speak with an experienced New Orleans paralysis and amputation attorney. I represent clients from New Orleans, Metairie and throughout Louisiana.